Mold growth in your home poses serious structural and health risks for you and your loved ones. It starts out small, and then grows on your walls and belongings, releasing spores in the environment that affect the air quality in your home. The presence of mold in the home could also help you spot structural problems such as leaky walls that you need to fix to resolve the problem. When dealing with mold, it is important to get a professional who can assess the extent of the damage, remove it and clean any mold stains, and identify the best method to purify the air in your home. Mold removal experts can test the air quality, assess the level of contamination in your home and identify the right mold removal technique for your home. Some of the common methods they employ include HEPA vacuuming, use of biocides, damp wiping and dry brushing. These mold removal methods require training and experience, which you can only get from expert service providers. Additionally, their knowledge in the industry can help them identify a method that suits your home; for example, if you have a young child in the home, they may favor one method over another to ensure minimal risk to your loved ones. Professional mold clean up companies invest heavily in mold testing and mold removal equipment to ensure they serve a wide range of clients satisfactorily. As a homeowner, a DIY mold removal project might set you back a couple of thousands of dollars, and even then, you may have to hire a professional to help you with the operation of the equipment. 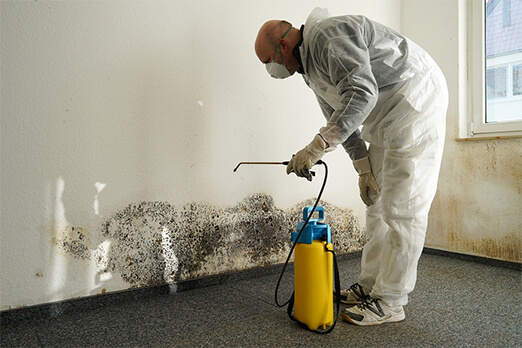 Additionally, the air testing service by mold removal companies accompanying every mold removal project is crucial in that it helps you identify other pollutants in the home. The best mold removal experts will give you a report that will help make changes that improve the overall air quality in your home. It might help you identify ventilation problems, fabric pollutants, or dangerous detergents. Mold appearance in the home often points to other problems such a leaky basement, poor drainage or increased humidity problems. Leading mold removal experts in the industry often go beyond mold removal to helping you identify and resolve the root cause of the problem. This may include reducing humidity levels to the recommended 35-40 percent to prevent the appearance of mold in the future. Some experts may bring in dehumidifiers or recommend that you change your air conditioning system to resolve the issue permanently. Additionally, industry experts will remove the mold and correct any problems created by the mold, such as stubborn stains. Mold contamination destroys building furnishings, finishes and poses mild to serious health risks that can cost you money and time. In case you suspect that there is mold in your home, it is important to get a professional to inspect your home and confirm your suspicions. During the testing and after resolving the issue, they can help you prepare a claim to take to your insurer or bank. Such claims may help you prove water damage in the home or even create a connection between health problems affecting you and your loved ones. Depending on the extent of the damage, a professionally prepared claim can help you receive compensation for structural problems or affected furniture and furnishings. 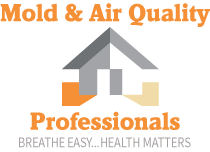 The next time you suspect a mold problem, contact Mold & Air Quality Professionals to help you identify and resolve the problem permanently.